"It is a pleasure to offer my testimonial for Dana Skiles. I’ve known Dana for over 50 years. She’s always demonstrated tremendous responsibility, leadership and an entrepreneurial spirit. She began working at an early age and has been an asset to everyone she has ever worked for. 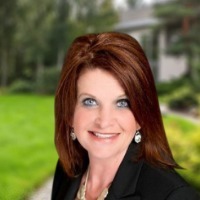 She has grown her business as a successful Realtor in the Johnson County area for over 20 years. She enjoys helping her customers, contributes to her community and works very hard at making her business ideas work. Dana is an asset to any organization she encounters. It has truly been inspiring to see her throughout the years tackle the Real Estate business and make it a success not only for herself, but for the company’s she has represented. Thank You"